​Can you prevent Alzheimer's, Dementia, Cancer, Stroke, Diabetes, Depression, Heart Failure, Anxiety, Anger, Stress, Obesity, Fatigue, Mood Swings....? If you are already affected, what can you do? If you are at risk, what should you do right away? If the one you love is in trouble, how can you help? can healthy Foods or HEALTHY liVING Help You? I'm Dr. Vie (V), a natural health Yogic scientist, and I've shared my scientific insights on natural healthy living with tens of thousands of men, women and youth over the years. Today I am here to help you and the ones you love, to feel better and love your life no matter what your age or stage of life. Watch the videos below to learn more about how I can help you right away. If you want to sign up for your free introductory healthy living videos right away Click here. Or if you want to learn more about me and your health, then check out the videos below, and browse through the site. I am here for you, and you contact me at anytime. Lots of love, V.
Right away you can benefit by getting your free introduction course to healthy living and not waste one more precious moment wondering how to get started on healthy living. Yes, you have the power to feel better and protect the ones you love. For now, you can go through the videos and get a feel for how I can help you, and if you like, you can then schedule your special free 10 minute call with me. Click here to sign up. You are not alone. 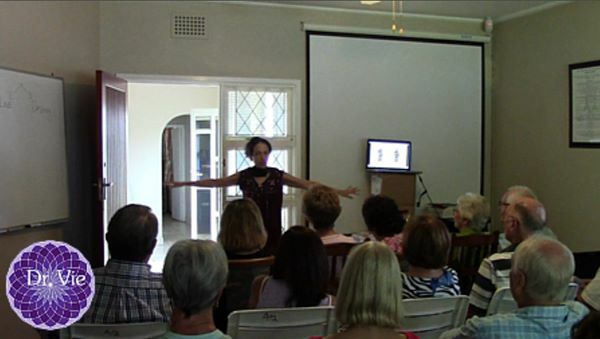 Just like you, many men and women have asked me many questions during my seminars and talks. "What can I do to protect loved ones from brain diseases or help someone who is already hurting? 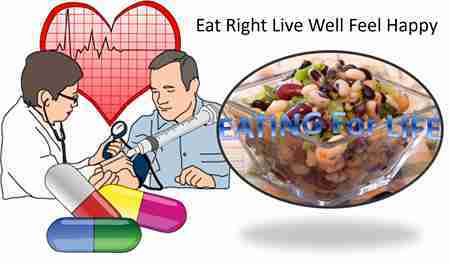 Can healthy foods & lifestyle better my life?" The thing is this: so many people are becoming less healthy around our world. Sometimes you may feel tired and not sleep well or experience constipation. Other times you could ignore the symptoms and wait until you are struggling...then you finally go for a medical checkup. But the moment you are diagnosed with diabetes, cancer, high cholesterol, high blood pressure, Alzheimer's, dementia...you feel like your world is ending. What can you do after the diagnosis? You start the medication treatment given to you by your medical team, with the hope that it will reverse your problem and just get you back to normal. You just want to be how you were before. But that does not happen. You then look for more ways to help you feel better. you search the internet, dig up research studies, ask every person you know about their opinions. And the one stressful event of diagnosis, adds up to even more stressful events, as you begin to spend your time chase after anything that you think could help you. At the end of the day, you are exhausted, helpless, frustrated and less happy. What is the reason that nothing seems to work when all you want to feel is normal? The reason is simply this: unless you firstly understand the power within your body and your mind, you can never ever find success with anything you try to do, be it to help your body or to help your mind, or to help the ones you love. Understand the vehicle you live inside and you will understand the secret to a better life. "Be the change you want to see in the world." Mahatma Gandhi. These words from my mentor, who lived in my home town in South Africa are truly profound. It really means that to feel less suffering you must firstly change the way you think about your body and your mind. You see, unless you know your real Self you can never ever even begin to understand anything around you. You can never understand the ones you love, or what is going on in your home or at work or with your friends...or your community or your nation, until you firstly understand your real Self. First learn about the house you live in....your body and your mind and set your Self free. My free beginner videos explain what you must know first and foremost before you start any therapy for your Self or the ones whom you love. "How can I as an Alzheimer's caregiver, give off my best and also be well? Can I prevent preventable illnesses & age well?" "How can I age well?" Over the years, I've been sharing all that I know about healthy living with tens of thousands of children, men and women at my live events. My mission is to help as many people as I can to understand how to protect yourself and the ones you love from preventable diseases and suffering. Sometimes all it takes is just ONE word, to inspire you with hope and to motivate you with will power to lead a healthier life, because you realize that you can feel better, and feel happy and feel stronger and content. Perhaps you are struggling inside, and not sharing your unhappiness, for fear of appearing weak.But no matter what you are experiencing right now, whether you wish for a better life, or you try your best to help your loved one cope with their illness, you CAN feel more at peace. Did you know that when you feel joy inside you, you become a better partner, a better caregiver, a better researcher, a better parent, a better educator? Why? Because you transmit positive energies and vibrations. With the joy inside you, you become active in the fight against brain diseases, cancer, diabetes, stroke and so many illnesses that are slowly taking over too many innocent lives. I want to help you, I want to help your loved ones...perhaps you cannot attend my live events, but thankfully for the internet, you can still benefit from what I share with you online. Right away, please do take advantage of my short series of videos. I've made them especially for you and for any beginner ...all you need is connection to the internet. You see, unless you understand the basics about healthy living, you can never be successful at protecting yourself, or healing yourself, no matter what treatment you are on.If you want long term success at being healthy, and feeling happy, you must understand the basics first. Every house needs a solid foundation, if it is to stand the test of time. When you learn about your foundation, and how to make it stronger by making small changes in your lifestyle, you begin to live a stronger and more powerful life as you stand on a strong foundation. After your free course, please schedule your FREE one on one 10 minute chat with me, because I want to help. You, just like me, can spread goodwill because by paying it forward you and I envelop ourselves with tremendous love. Your vibrations will grow stronger. Through love, you and I set ourselves free to live the life we were meant to. Please share and tag your friends, if you feel they can benefit from some support and love. Please message me also..I look forward to your feedback. Yes, wherever you are in the world, I can help you right from the comfort of your home or via any mobile device that has connection to the internet. All you need is connection to the internet. How Can I Help You with my ​Online Guidance Wherever You Are? You can also join any of my Healthy Living Membership and benefit from monthly videos, healthy foods recipes, live question and answer sessions, private Facebook Group, replays of my events and podcasts, and special VIP Members only pricing on my live events, and one an one coaching sessions. You can schedule personal time with me, and I can help you online through Skype or phone. You can join my online monthly group sessions and ask me questions. You can register to join any of my live sessions on Facebook, Youtube, or other sessions, where you can interact and ask questions directly. You can invite me to your location, to host an event to a group and let me help in person. When I am in your town, you can set up personal time with me. You can join any already scheduled live event, seminar, workshop, retreats in any town. You have no excuse about how to live a healthy and happy life with some Guidance from me. If you are still reading this, I am sending you a hug, because you have proven your determination to better your life, and you have taken the first and most difficult step - you have opened you mind to strengthening your foundation....which shows your passion to enjoy a better life. Now the rest of the steps will be easier to continue. Right away, why not join my free online Video Course below to introduce you to the foundations to healthy living. I've made it free for you, and you have no excuses for not taking it. I've done all I can to reach out to help you, now the rest is up to you. Why Should You Trust Me? Who else trusts me? Who have I helped? Don't take my word for it, watch the videos of hundreds of the tens of thousands whom I've helped in my live events. You probably have not heard of me, because I fund my own work and do not have a marketing or sales team...and I am not famous, as I do all on my own. All I know is that I want to help as many men, women and children as I can. I share all that I know with tens of thousands of men and women because I care about your well Being, and I would love to hear that you are feeling better and feeling happy no matter what your situation in life is. Please let me help, because I want to. When you are happy, our world is happier. I want to live in a happier world...I need for you to feel happy. Want to start slowly? Then get your free online video course about the foundation to healthy living, by clicking here. Want to speed up your progress? Click here﻿ and learn more now. Three videos to help you understand why you should be more careful about the foods you select to nourish you and your family. Because people do not understand the basic information about their bodies, they fail to stay on track with any program or diet aimed at improving their lives. Before you start any health program, please, understand the fundamentals first, strengthen your foundation, and your success will be amazing. I guide you through a simple breathing exercise to reduce stress and feel relaxed. Benefit from a 4 minute meditation sequence with powerful meditative sounds. Use them anytime you are stressed, and especially before you sleep. Take the online Diabetes Risk Assessment and find out your current status. Ten minutes free chat with me, or you can opt for the special 20 minute personalized call with me. Healthy Foods introductory videos, guided breathing and meditation video, Diabetes Risk Assessment, Replays of Radio podcasts, option for one on one chat with me. I am waiting to see you in your healthy living video course. Once you complete your free sign up, do check you email inbox, for an important email from me. You need to confirm your details, then be sure to keep an eye on your email, for the link to access the introductory video course. I am here for you, just reply to the emails and let me know how I can help you further. If you need fast help right away, then do connect with me below, by clicking on the contact link, or go to the Contact Dr. Vie link above and I can help you. Or if you want to join my special online Healthy Living Membership click here to learn more. Or set up a help call with me, we can do that too. I am here for you. Send Me A Message Via Messenger​ below.